Successfully saved Sweet Potato and Black Bean Tacos to your Calendar. You can also save the ingredients to your Grocery List. 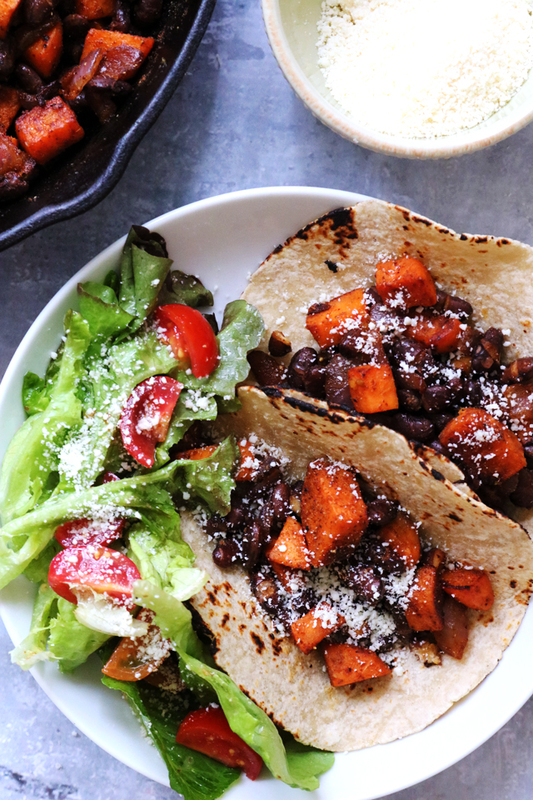 Spiced sweet potato and black bean tacos are hearty and super easy to prepare. Great for a vegetarian taco dinner!